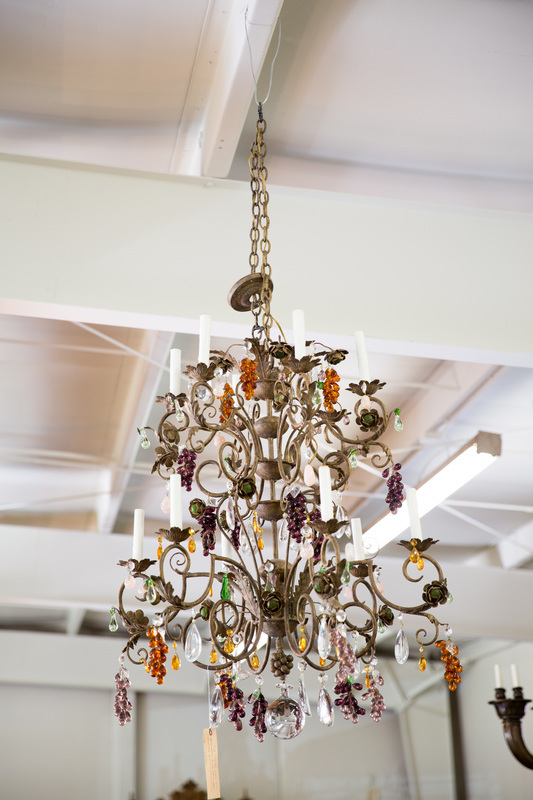 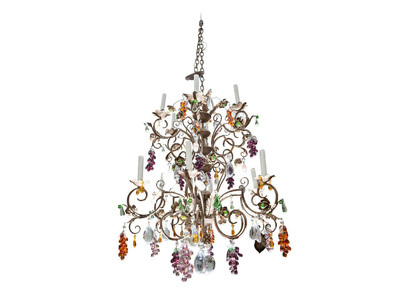 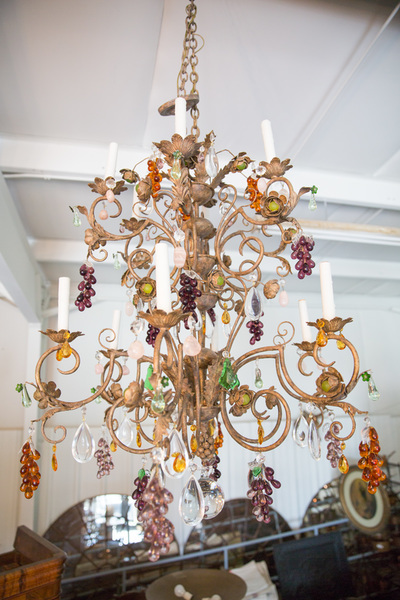 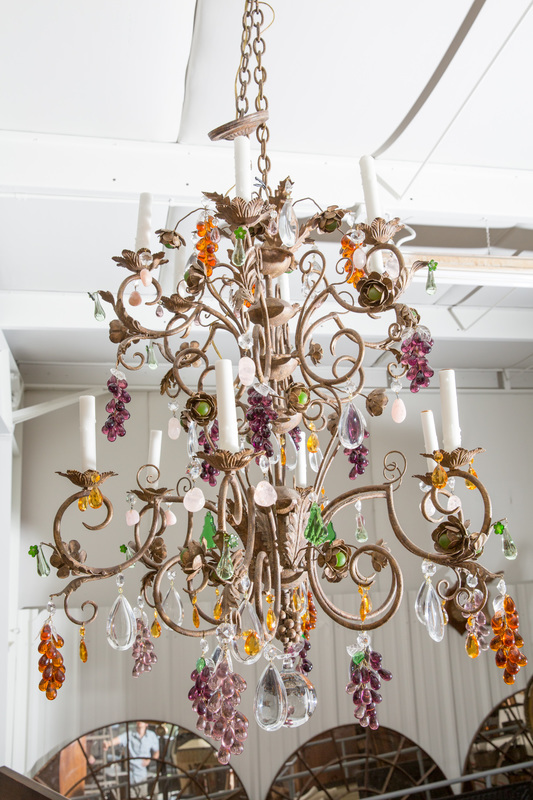 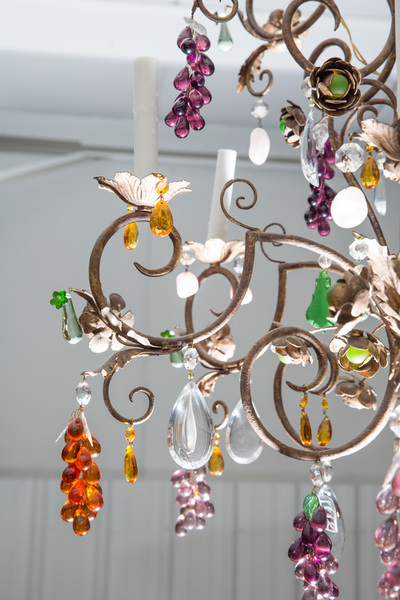 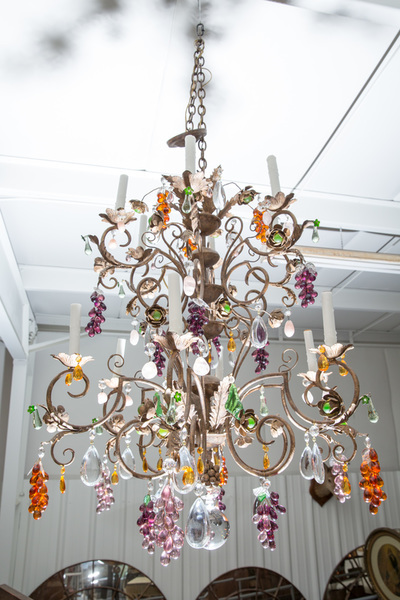 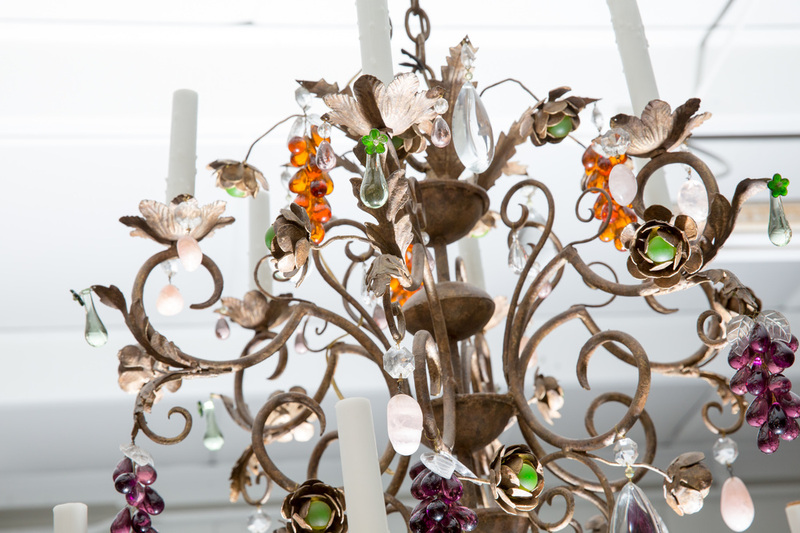 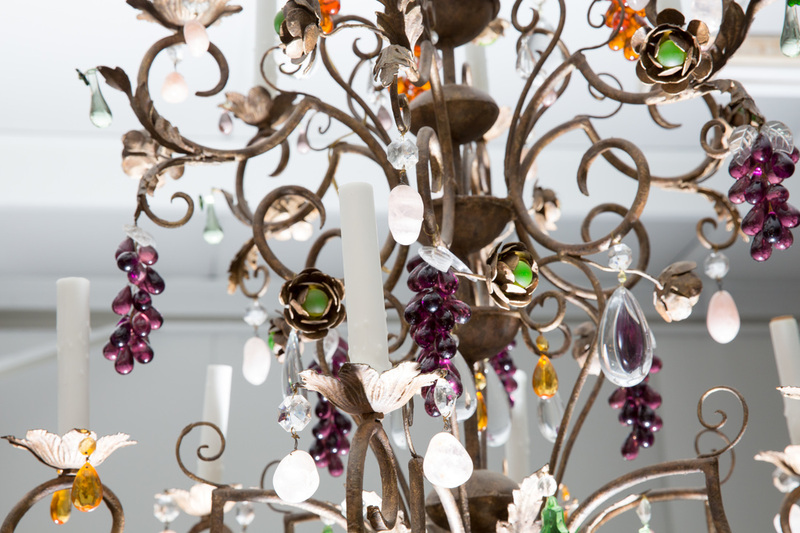 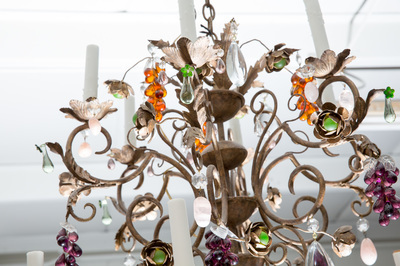 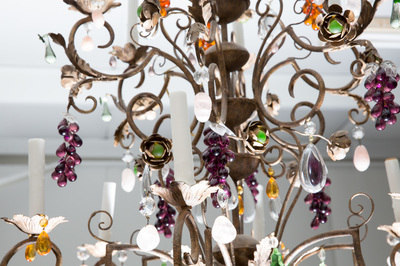 Stunning Louis XV style 12-light wrought iron chandelier with scrolled arms and floral bobeches, having waxed candles. 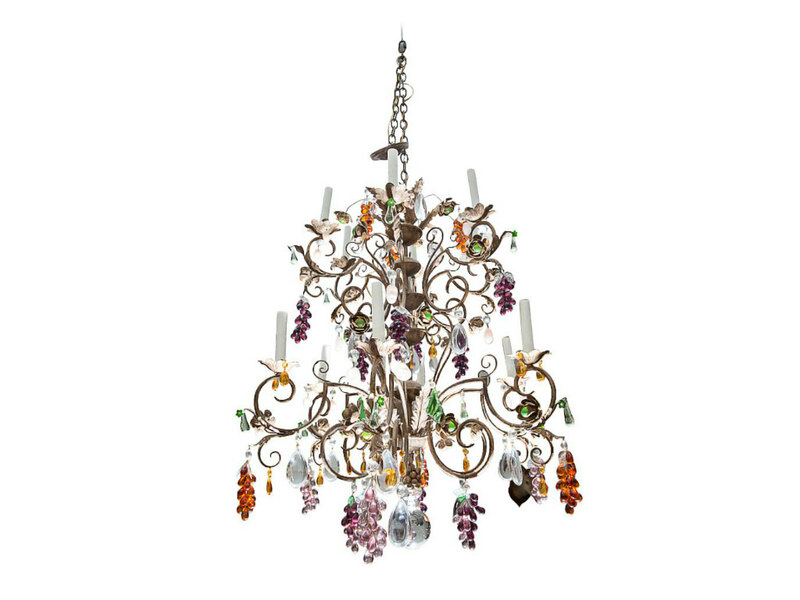 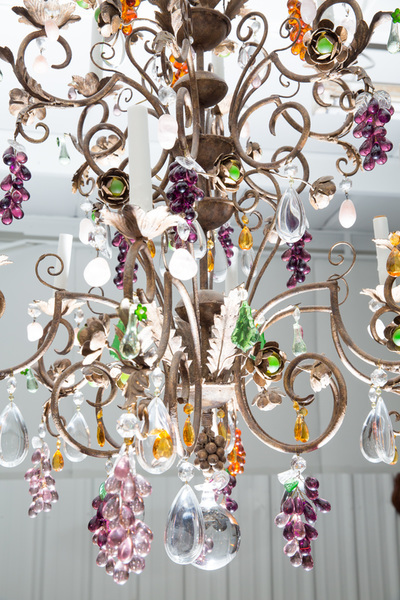 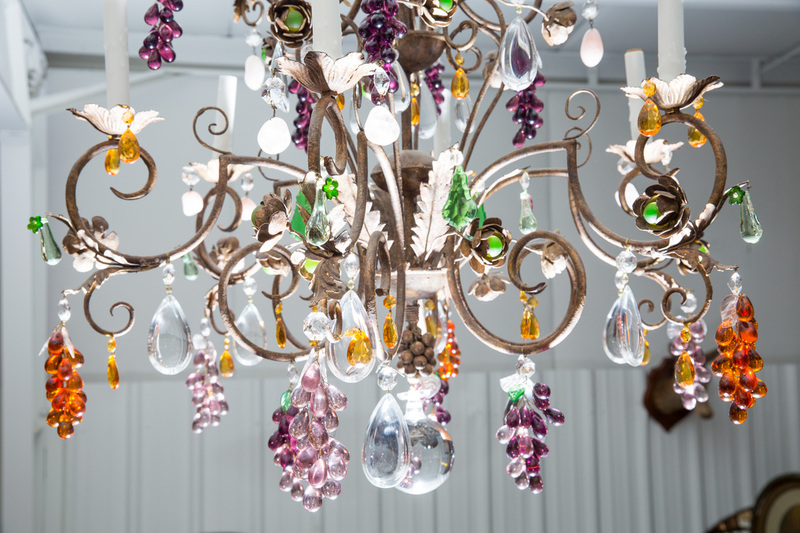 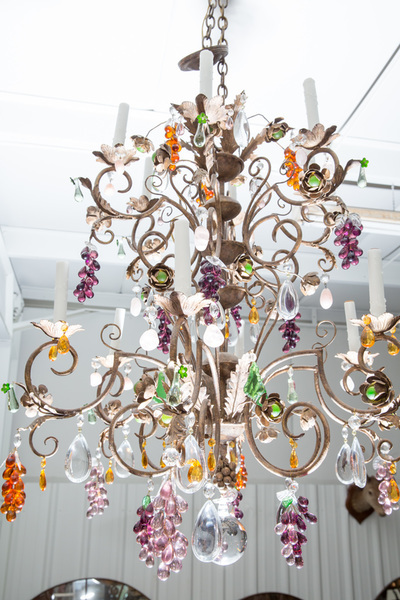 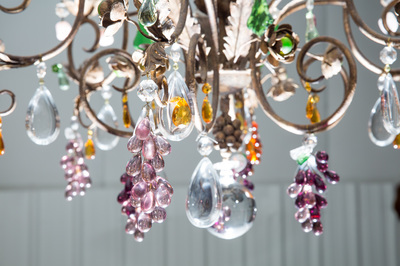 Decorated with a vast array of clear and colored crystal teardrops, pendalogues, flower rosettes, colored grape clusters, tole acanthus leaf and floral accents. 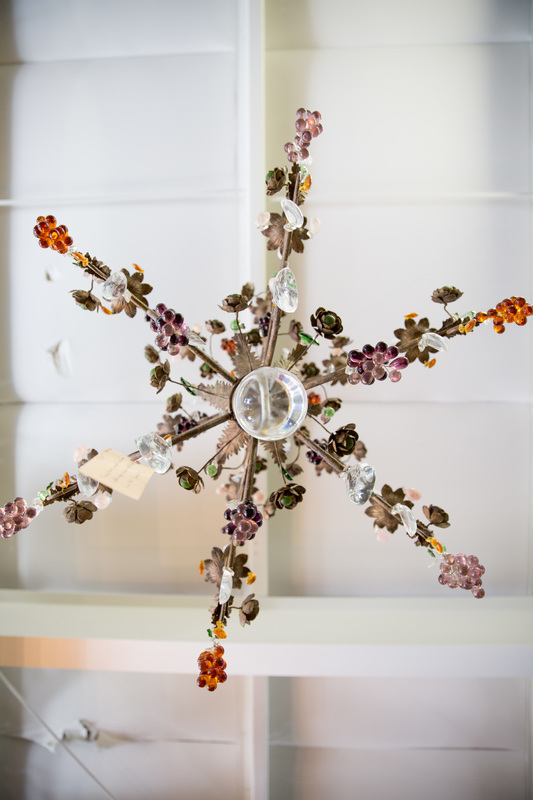 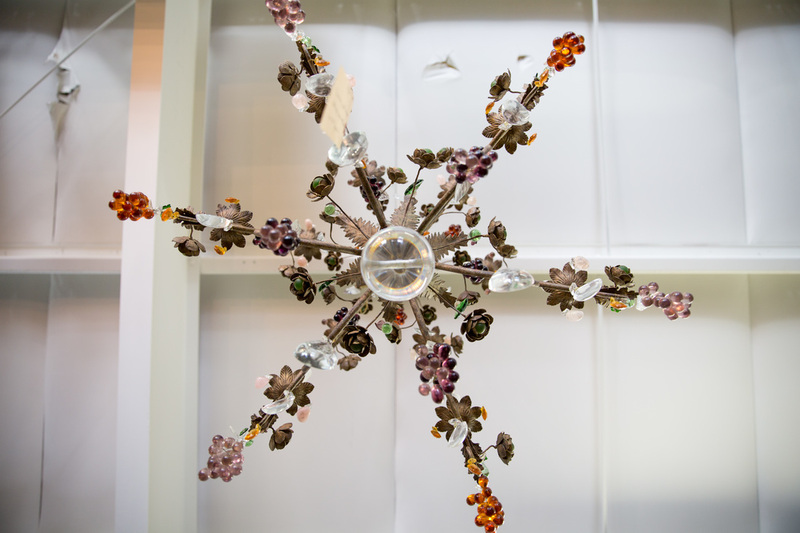 Tole grape cluster and crystal ball drop at base.